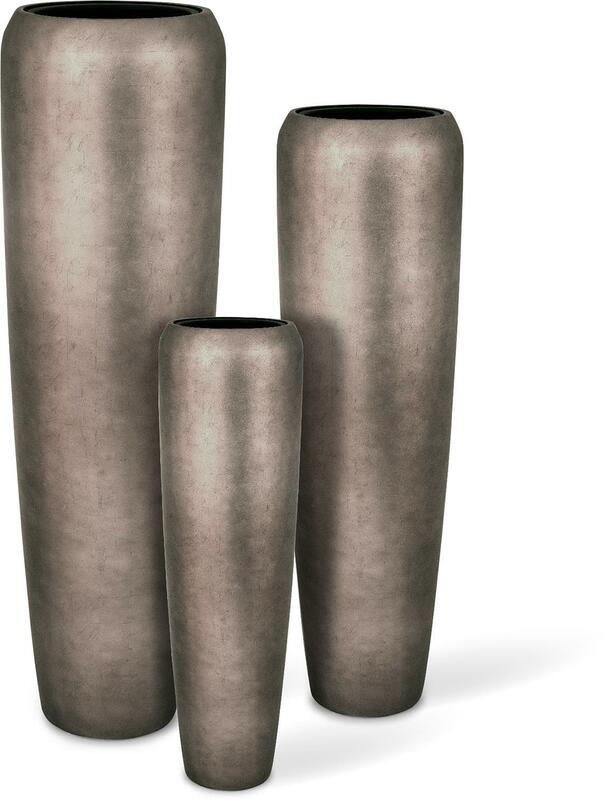 Soft lines highlight the noble surface in matte, pink champagne silver leaf finish and make the plant container a real decoration highlight. 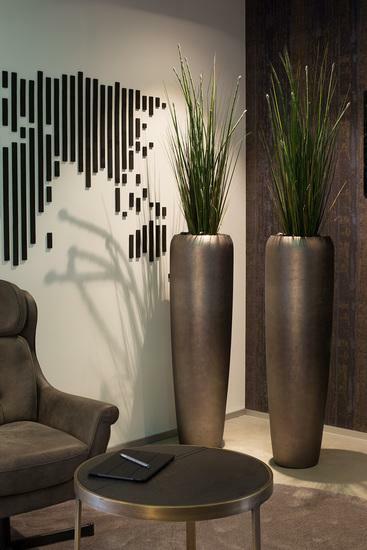 A successful combination of pure shape and noble surface design are the new ROYAL plant container. Made of sturdy polyresin, their surface is covered with a beautiful silver leaf finish in delicate pink champagne which gives the planters an elegant appeal. Counterweights in the bottoms prevent planters fast tipping over. Additional advantage: optionally available plant inserts provide an easier and more flexible planting and decorating.